What stops you from achieving goals or becoming who you want to be? 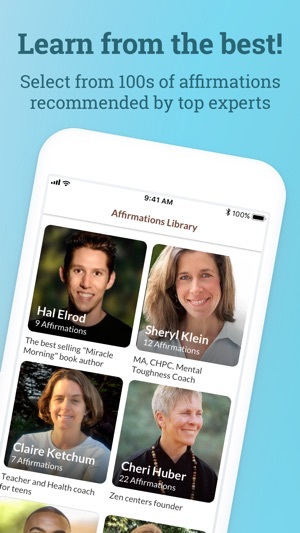 Build your self-improvement program to develop the motivation and the positive mindset you need to succeed, using positive affirmations in the most effective way. Our mindset and thoughts have an enormous impact on motivation, self-esteem, health, prosperity, and happiness. 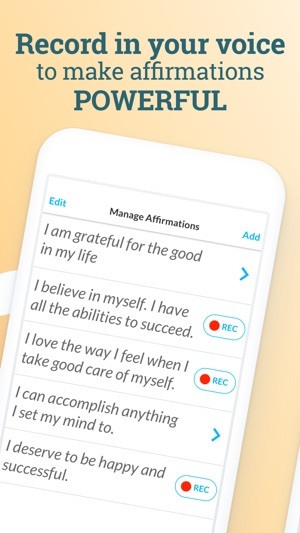 Positive affirmations and self-talk are a simple and proven technique practiced by psychologists, life coaches, and personal development gurus to make our mind work for us. 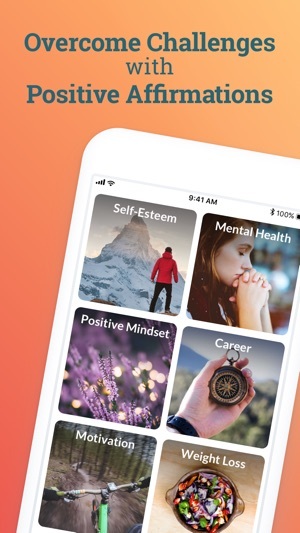 Connect ThinkUp to the Apple Health app and track the duration of your daily practice through the Mindful Minutes metric. 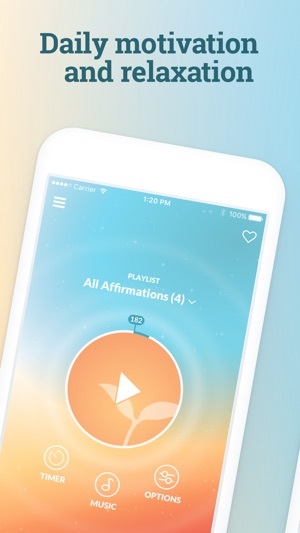 You can also track the number of positive thoughts/affirmations you've listened to during your daily practices. Tracking this metric is important, as it trains your brain to focus on positive thoughts throughout the day when you don't practice actively. Tap the Gift icon, follow the directions and share our ThinkUp Gift Edition with someone you love. Subscriptions automatically renew unless auto-renew is turned off at least 24-hours before the end of the current period. iTunes Account will be charged for renewal within 24-hours prior to the end of the current period, and identify the cost of the renewal. 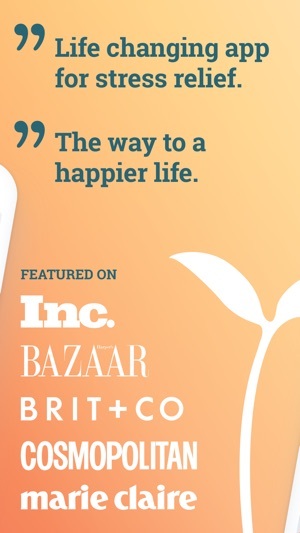 Subscriptions may be managed by the user and auto-renewal may be turned off by going to the user's iTunes Account Settings after purchase. Any unused portion of a free trial period, if offered, will be forfeited when the user purchases a subscription to ThinkUp. Fixed the "restore premium subscription" issue. We apologize if you've experienced this problem! I love your app!!! It really helps me to tune my day on a good frequency. One suggestion I do have is to have an option to select more than one #theme to play as currently there's only the option to play one or all. Such an easy way to add positivity to the start of my day. I would like a larger view of text when recording , but otherwise I find it wonderful and so easy to use.